Transformed focus from managing map and chart production to providing high-quality data. 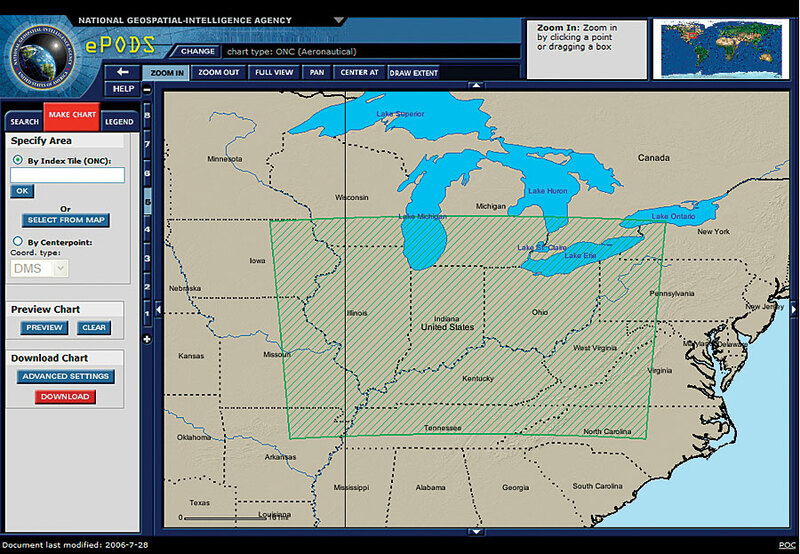 Provided users on-demand access to best available NGA data. Reduced cartographic production time from hundreds of hours to as few as one. The National Geospatial-Intelligence Agency (NGA) is transforming how it provides aeronautical, nautical, and topographic maps, charts, and data to give customers immediate, on-demand access to relevant geospatial intelligence where and when they need it. An important part of this process is the concept of force multipliers, which are factors that dramatically increase the effectiveness of an item or group, such as a combat troop. Geographic features are a force multiplier. Geospatial intelligence is thus a critical tool for U.S. Armed Forces and the intelligence community, aiding the front line by providing accurate depictions of the geographic features relevant to the mission at hand. NGA is a U.S. Department of Defense combat support agency and a member of the national intelligence community. Its primary mission is to provide geospatial intelligence (GEOINT) to U.S. Armed Forces and government agencies in support of U.S. national security. 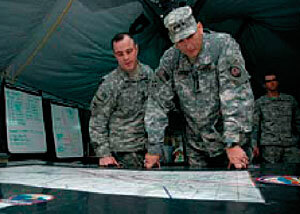 For NGA's GEOINT operations to function successfully as a force multiplier, it must be timely, relevant, and accurate. 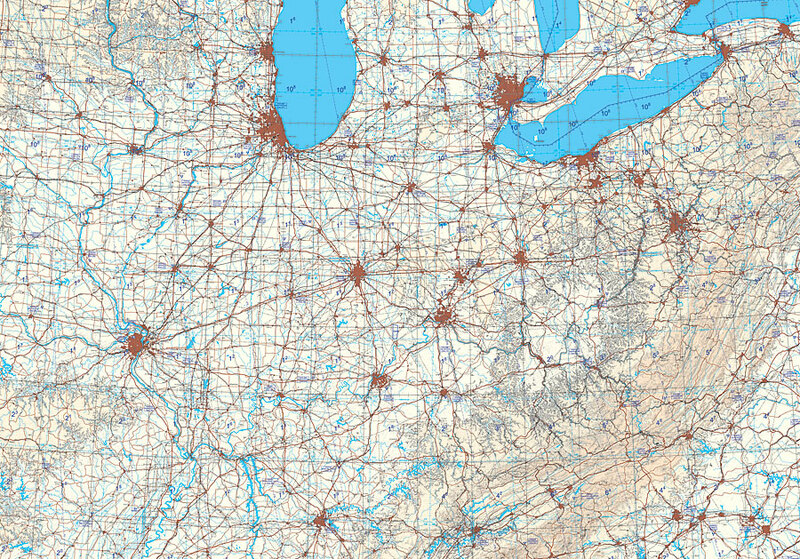 The geospatial intelligence that NGA provides is important on the home front, too. Safety of navigation is a critical function of NGA and would be virtually impossible without knowing the geographic features that affect aeronautical and nautical navigation. Starting in 2001, NGA began to transform its processes and systems to better support its mission to [from the NGA Mission Statement] "provide timely, relevant, and accurate geospatial intelligence in support of national security." This included changing its name in 2003 (from the National Imagery and Mapping Agency) to better reflect this mission. Enterprise Product On Demand Service (ePODS) overview: The ePODS architecture is based on a service-oriented architecture (SOA) with a SOAP Web service exposed that allows the POD server to be called from multiple applications. NGA began transforming its mapping, charting, and data management processes from an often outdated, labor- and time-intensive process. Through a collaborative effort with Esri Professional Services in 2002, NGA's Aeronautical Division created an automated, GIS-based charting process that significantly reduced the time required to update, produce, and disseminate Flight Information Publications (FLIPs) (see "Aeronautical Transformation"). The goal, in the words of Lt. Gen. James R. Clapper, former director of NGA, was to provide customers with "instant access to specific geospatial intelligence." The clear success of the project served as an impetus for NGA to modernize nautical and topographic mapping and charting. In 2004, NGA contracted with Esri Professional Services for a new initiative, dubbed Enterprise Product On Demand Service, or ePODS. This initiative, now a fully recognized program, would transform how NGA produced maps, charts, and data and would allow NGA to provide its customers with timely access to the most current (best available) NGA data in all domains. Customers would be able to access the data from any location at any time. Using the aeronautical project as a model, map and chart creation would be automated for significant gains in efficiency and reduction in errors. 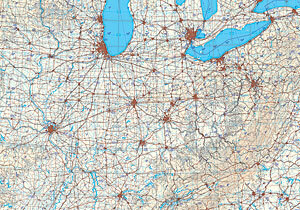 Users would be able to configure and print their own custom maps as well. The first iteration of the ePODS system went into production in September 2007. With ePODS, NGA customers can access the most current NGA data holdings to build on-demand nautical maps and charts and soon aeronautical and topographic maps and charts as well. NGA employees and contractors can use it to automate the generation of maps, charts, and map series, significantly speeding up the update process. The key value of ePODS is that it allows NGA to change its focus from producing cartographic products to providing the most accurate data possible to support the needs of its customers. A Web portal lets users access the system anytime, from anywhere. Via the Web interface, users select the data they need, configure it into a map, apply specific cartographic rules, preview the end product, and print it or download a source package (data, instructions, and media) to work locally on the maps for further refinement. ePODS produces output in many formats, including PDF, GeoTIFF, JPEG, CADRG, and map document (MXD) download. Users select the level of finishing necessary. They can produce draft maps to perform a quality control check on the data in a particular region, or they can produce print-quality map series within a standard, rules-based format. The ePODS system supports complex rules for cartographic output, including dynamic map surrounds and format sizes of up to E-size. The ePODS system was built on a service-oriented architecture (SOA) using Esri commercial off-the-shelf software. ArcGIS Server and ArcIMS provide the GIS Web services and portal functionality, respectively. PLTS for ArcGIS provides a robust final touchup, or finishing, environment for aeronautical, nautical, and topographic maps and charts that NGA chooses to edit prior to publication. With the help of ePODS, NGA has significantly reduced the time required to produce most charts and maps. For example, digital ePODS-Maritime (ePODS-M) charts are usually available for use the day after NGA clears a new-edition nautical chart for release. By contrast, traditional paper nautical charts are available six to eight weeks later. For some maps and charts, production time has dropped from hundreds of hours to less than one. NGA further increased its efficiency by using ePODS to determine, on a case-by-case basis, how much production time to spend on a product based on the intended use of the productno need to spend hundreds of hours finishing a one-off product that will only be used for a quick analysis. The ePODS system allows NGA to focus more of its resources on data quality, integrity, and currency rather than cartographic product generation. With ePODS, NGA is able to provide its customers with timely access to relevant and accurate GEOINT data so that the GEOINT provided by NGA is a true force multiplier in support of U.S. national security. Safety of navigation is also significantly improved for both military personnel and civilians with the improvements in accuracy and timeliness of aeronautical and nautical charts. "With ePODS, we are able to meet our customers' needs for rapid, automated dissemination of relevant data and hard-copy products," says Susan Marchant, NGA ePODS program manager and contracting officer's representative. "NGA is now looking toward the future, to adding more features and expanding the use of ePODS." For more information, contact Kevin Lynch, Esri (e-mail: klynch@esri.com, tel. : 703-506-9515, ext. 8089).